Lightner is not a stranger to apologetic books. This is a 1998 writing which validates the Christian faith against other contemporary views. It reads like a refresher course on the major doctrines and I think would be a good book to start a new believer out on. It includes a section, along with helpful charts, on major cults and their beliefs, and it has an appendix on postmodern belief as opposed to Christianity. Lightner comes from a dispensational, pretribulational and premillennial point of view and is fairly Calvinistic. 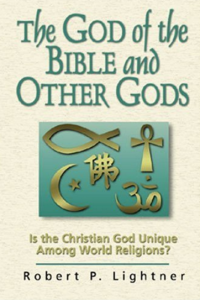 Most of the book deals with God and His work and what mankind is asked to believe and accept in order to come to Him.